Sir John Hargrave wrote a book. John's the force behind Zug.com, one of the top five prank sites on the web. 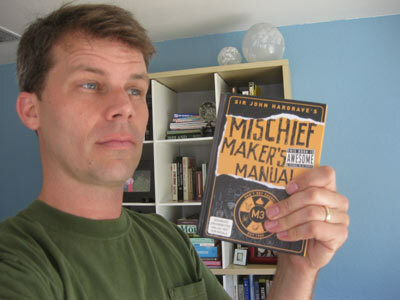 His book is titled Mischief Maker's Manual, and it is just out this week. 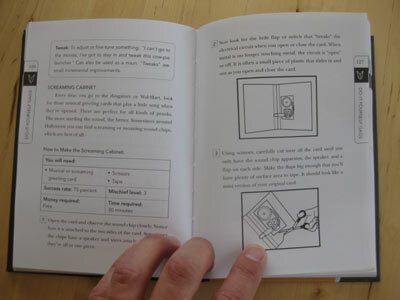 Mischief Maker's Manual is designed as a guide and reference manual for kids. It is sort of like a scouts manual for Eddie Haskell. 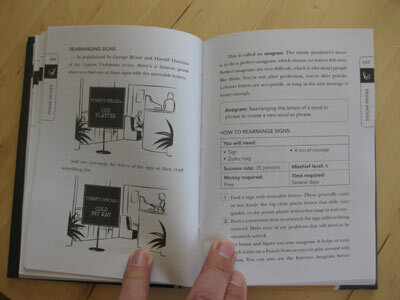 The book is beautifully done, in a light but detailed lesson plan format, complete with scores of illustrations. Sir John even asked me to contribute, so I helped out with instructions on how kids might try building their own phony fossils and "snake in a can" gag. It was not easy. One of the most challenging aspects of building stuff as a kid is that your main source of materials is the recycling bin. Even a $10 project can seem like an insurmountable sum to a kid. I was also wary of using that old "ask a parent" line, which is fine if you are asking them to tie your shoes, but not so great if you are asking them to, say, use a razor blade to slice a slot into an orange for an unspecified purpose. 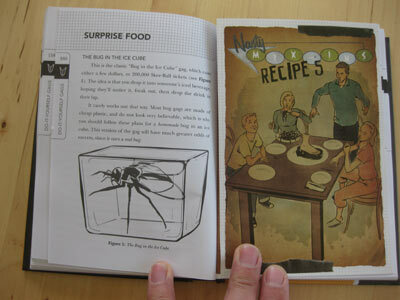 In any event, the best stuff made it into the book and, I think, adds greatly to the Manual. Pictured here are instructions on how to re-purpose the sound chip from one of those musical greeting cards. 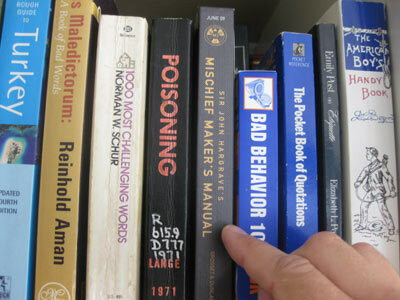 There are a ton of projects and ideas in here, as well as prank history, old classics, social engineering and the "five levels of trouble". I wish something like this had been around when I was 10. The real trick was creating a fun book of pranks which takes the time to explain the concepts of fair play and actually fosters good citizenship. Pick one up for your nephew or niece today, but be sure to read it first. It is great.